Do you need general builders in Romford? Spenwell General Builders offers outstanding general building services in Romford RM1, East London and other regional areas like Stratford, Dagenham, Chigwell, Woodford, Walthamstow, Epping, Barking, Hainault, and other nearby towns in Essex and East London. As a General Builders and Contractors, we take pride in absolute most competitive prices for renovations, refurbishments, preservation, and so much more while sustaining the highest quality of craftsmanship. Our 25 years of experience in the construction industry give us the leverage of a wide and deep knowledge of what is possible and how we can make it happen for your home or your property. Our team is here to assist you 24/7. Our contact details are: phone 07581181235 or 02082522663, and email spenwell@hotmail.com .Contact us now for a no obligation quotation from the best general builders in the market. Finding a reliable builder in your community is important, that’s why Spenwell General Builders is here to assist all of our clients, either for commercial or for home service, name it and we’ll do it. We offer our services in Romford RM1, East London and other regional areas like Stratford, Dagenham, Chigwell, Woodford, Walthamstow, Epping, Barking, Hainault, and other nearby cities in Essex and East London. 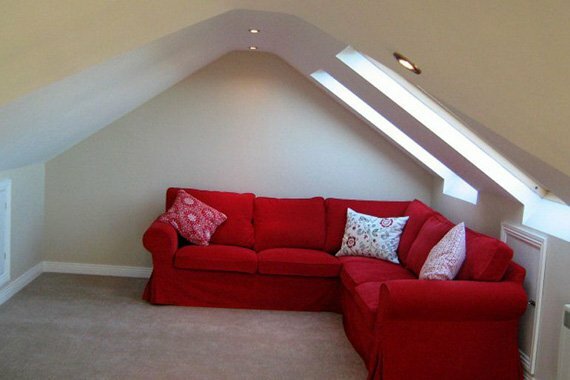 From General Builders and Contractors type of service, a few of the other services that we offer our house extensions, loft conversions, kitchen extensions, renovation, refurbishment, kitchen fitting, tiling, stonework, carpentry, etcetera. All of the work we carry out is completely licensed and is in accordance with current regulations, to top that, we are even willing to give you a no cost estimate for all work that needs to be done on your premise. We offer a complete service, taking care of each phase until its completion, from your roof to your garden, name it and we’ll take care of it. Spenwell General Builders consider Customer service as important as its own existence, because of that, we offer a 100% guaranteed satisfaction on all of our work. We understand that each project is different and are delighted to offer expert suggestions about options which may be made to your budget. If you’re looking for the most reliable general builders in the market, then you are looking for us. We offer our services in Romford RM1, East London and other regional areas like Stratford, Dagenham, Chigwell, Woodford, Walthamstow, Epping, Barking, Hainault, and other nearby towns in Essex and East London. Contact us now at 07581181235, 02082522663, spenwell@hotmail.com for a free and no obligation quotation.